Many native species have disappeared from tropical islands because of human activity, but University of Florida scientists have discovered how fossils can be used to restore lost biodiversity. The key lies in organic materials found in fossil bones, which contain evidence for how ancient ecosystems functioned, according to a new study available online and in the September issue of the Journal of Herpetology. Pre-human island ecosystems offer crucial clues for saving endangered island species and re-establishing native species, said lead author Alex Hastings, who conducted work for the study as a graduate student at the Florida Museum of National History and UF department of geological sciences. Thousands of years ago, the largest carnivore and herbivore on the Bahamian island of Abaco vanished. 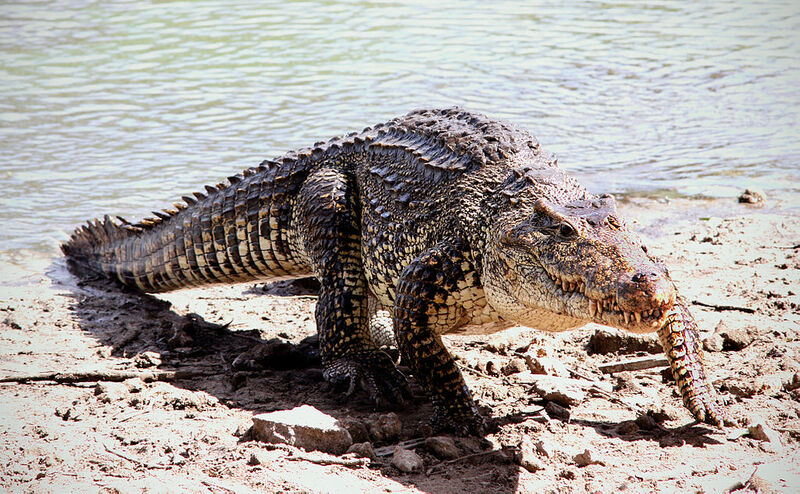 The study recreates the ancient food web of Abaco where these two mega-reptiles, the endangered Cuban Crocodile (Crocodylus rhombifer) and the now-extinct Albury’s Tortoise (Chelonoidis alburyorum), once thrived. Today, there is no modern terrestrial ecosystem like that of the ancient Abaco, with reptiles filling the roles of largest herbivore and carnivore. In the study, sponsored by the National Science Foundation and National Geographic Society, researchers embarked upon the difficult task of reconstructing an ecosystem where few of the components still exist. To obtain a better understanding of the missing pieces, scientists analysed the types of carbon and nitrogen in well-preserved fossil bones from the Cuban Crocodile and Albury’s Tortoise, which was unknown to scientists before its discovery in 2004 in the Bahamas. The data unveiled the crocodile and tortoise were both terrestrial, displaying that reptiles “called the shots” on the island, Hastings said. The terrestrial nature of these animals is a brilliant indicator of how biodiversity has altered in the Bahamas and what the ideal circumstances would be for these or similar species to return, said Florida Museum omithology curator and study co-author David Steadman. Early paleontological sites in the Bahamas have produced bones from various species of reptiles, birds and mammals that no longer exist on the islands. James Mead, a vertebrate palaeontologist with East Tennessee State University, said more research into the evolutionary history of native plants and animals on Abaco is needed as well as conservation programs based paleontological research that aims to restore these species. Other study co-authors include Nancy Albury with the National Museum of the Bahamas and John Krigbaum with UF’s departments of anthropology.